Are you enamored by the look of traditional hardwood and stone but unable to fit pricier materials into your home renovation budget? We have a cost-effective, simple solution. Laminate flooring is a great alternative to traditionally expensive floors and is used in many homes across the country. It is stylish, durable, and able to withstand a great deal of heavy traffic. Indeed, laminate floors offer the complete package, and we’re here to deliver that package right to your doorstep. If you are looking for a strong floor that withstands stains and water, our affordable laminate wood flooring is for you. Comprised of a specialty four-layer construction, this floor combines the strength you need for the most lived-in rooms of your home, with the beauty you want your home to convey. A lot of families are hesitant to invest in new floors when their children or pets may easily damage them, but with this flooring you don’t have to worry. All it takes is a mop or a sweep to get them clean. The durable layers provide impact resistance, stand up to staining, and create a natural-looking appearance. The top layer protects against water, followed by a decorative layer that provides a unique aesthetic and natural-looking appearance. This is created using the latest photographic technologies to immaculately replicate any hardwood, tile, or stone. A substrate layer provides moisture resistance and protection, while the backing layer enhances the floor’s surface. Manufactured with a wide range of diverse design options, our laminate tile flooring can naturally mimic the look of stone. We also have wood planks available that truly outdo luxury hardwood. Whatever your preference is, you can rest assured our laminate floors look great and hold up beautifully under the heaviest foot traffic and activity. If damage does happen to occur, these floors are inexpensive to replace and a breeze for us to install. Whatever the style or color of laminate flooring you choose, you can feel confident it will add instant value to your residence. It’s an easy match for any style of home décor and design, from modern to classic. That’s why more home decorators turn to us for assistance with their key projects. A stunning floor is all it takes to create new levels of sophistication, warmth, and attractiveness in any room. One visit from our professionals and you’ll see why this works. Besides easy maintenance, laminate flooring offers several exclusive advantages. In particular, it is highly resistant to fading, dents, or scratches, making it the ideal choice for high-traffic areas such as your living room or foyer. It also repels water and moisture, so it’s perfect for bathrooms, family rooms, kitchens, or anywhere else you expect a spill to occur. Do you suffer from a chronic illness or allergies? Our laminate floors won’t absorb dust like carpets do, which makes them highly sanitary. Essentially, you can’t go wrong with laminate. It is one of, if not the, most versatile flooring choices on the market today. Professional flooring companies exist for a reason. Like any other high-level household project, laminate flooring installation requires trained technicians who have the tools and skills to do it correctly. Flooring is a significant investment. Let us protect it by taking responsibility for its installation. Our qualified team has the experience to efficiently complete the job within your budget—without cutting corners. Work with us to be sure your floors look great and last long. The skilled technicians on staff can alleviate the stress of a major renovation by expertly installing laminate floors in your home or office. Plus, with our Ultimate Confidence Guarantee, if you aren’t satisfied with your new floors, we’ll provide you with a replacement that better meets your expectations. We save you time, money, and ensure your laminate floor is securely in place so it lasts as long as possible. When it comes time to select brand-new floors for your home or business, look no further than our store. We combine quality products with affordable prices. No other local retailer carries our wide inventory of name-brand laminates that instantly upgrade your property. Durable and easy to care for, our floors can complement a number of different interior design themes. Once you make your purchase, be sure to set up an appointment with our installation team. We offer affordable installation rates and we work around your schedule to avoid disrupting your day as best we can. There is no team more conscious of customer satisfaction than ours. We’re at your service and happy to help with any questions or concerns about laminate flooring options. 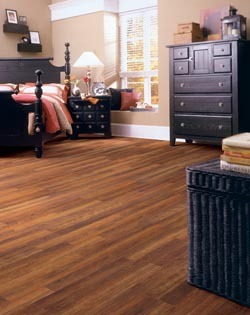 Expect a pleasant, stress-free, experience when you choose us as your laminate flooring provider. We care about your unique requirements and work hard to achieve all of your goals. Free consultations are always available, with no hidden fees or added costs tacked on down the line. We also provide special coupons and keep all of our clients up to date on sales, promotions, and anything that may save you money. Contact us today when you need more information about our affordable wood and tile laminate flooring. We sell and install this type of flooring for customers from the communities of Gonzales, St Amant, Sorrento, Donaldsonville, Geismar, French Settlement, Maurepas, Pierre Part, and Napoleonville, Louisiana.